“Critical Skills” vs “Core Competencies” – Critical Skills! 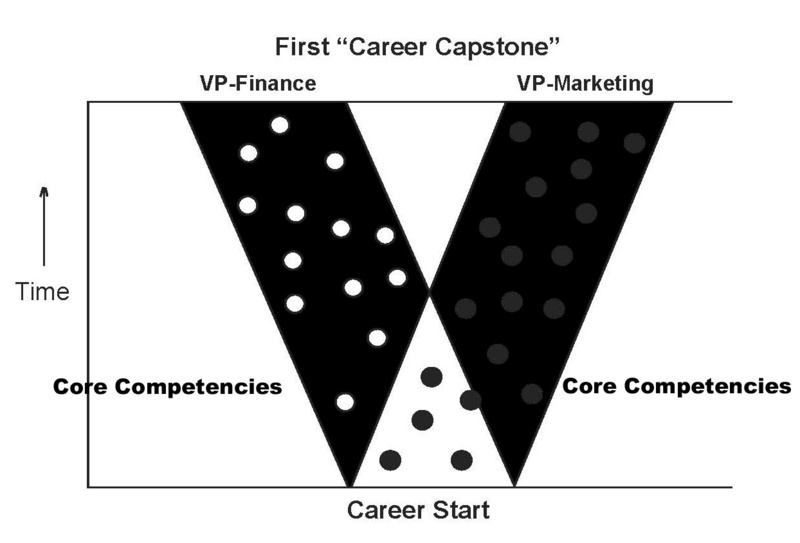 While the term “Core Competencies” applies to an entire company or organization in general – the abilities that actually make that company/organization unique – each “Capstone Position” in two different organizations might have the same title and the same function – but the “Core Competencies” related to those positions will most likely be different. In a sense, a “Vice President – Finance” in one company will have the same title as a “Vice President – Finance” in another company . . . BUT . . . the “Core Competencies” of not only their respective organizations as well as their specific positions will most likely be different. The darkened area in the image above shows the “Critical Skills” that are common to two different positions. 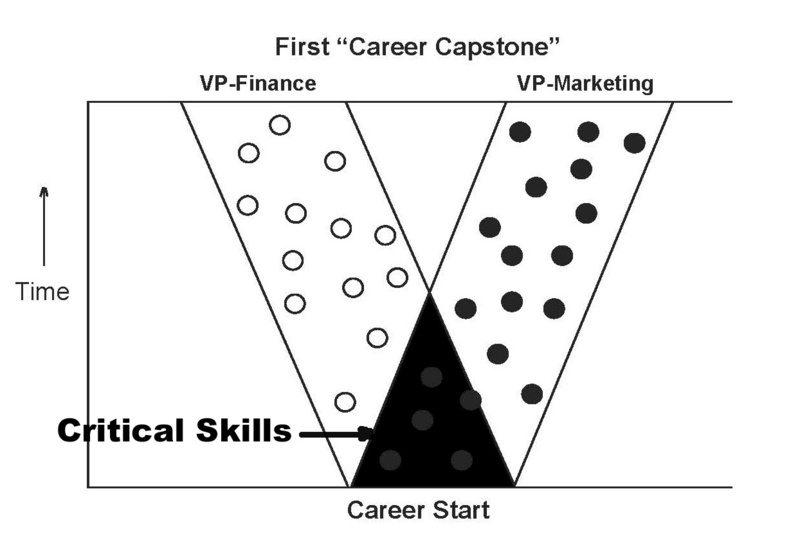 The “Critical Skills” cut across all kinds of organizations – public and private. They are not a function of the kind of business in which an organization is engaged. The darkened areas in the image below show the “Core Competencies” that are inherent in the two positions for a SPECIFIC organization. “Core Competencies” are totally dependent on the nature of the company or organization that makes it unique from others. A Vice President – Marketing in a consumer packaged goods company may have “Core Competencies” different from a Vice President – Marketing in a different consumer packaged goods company. Those differences are what make each company unique. “Critical Skills,” on the other hand, are the same. They apply to everyone. You Need the Critical Skills to Get Ahead and Stay There!